-Ask your doctor to write a plan of treatment that details the types and amounts of bandages needed for each dressing change and how often dressing changes should be done. Send a copy to your insurance company. Often since mom or dad knows the family routine best the doctor will allow you to write this yourself then they will review and “sign off” on it. -Insist that your insurance company assign you a case manager. Having one person who can become familiar with both EB and your individual case can be invaluable. Send the case manage pictures of your unbandaged child. Pictures speak a thousand words. -Keep a copy of EVERYTHING! It’s much better to deal with piles of papers that to find you are missing an important form or piece of documentation. 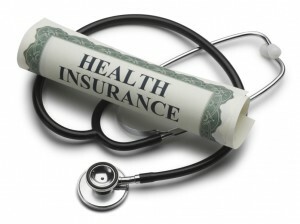 -At each doctor’s appointment or hospital stay ask for at least two itemized copies of your bill. One for you, one for the insurance company. Almost all insurance companies will require an itemized bill rather than a receipt. -If you have to complete your own claim forms, ask your insurance company to send you a stock of forms so you don’t run out. Make a copy of each form you fill out for your personal records, recording on it the date you mailed it in. -Deal with a pharmacy that uses a computer system that allows them to make you a printout of all your prescriptions. -Ask your insurance company for a claim rejection in writing specifying why the claim was denied. -Immediately file an appeal. Ask that your claim be examined by the companies’ medical review board. -Ask each and every doctor or therapist who follows your child’s care to write a letter to the company on your behalf. Ask that they detail why the treatment or prescribed item is medically necessary and the possible complications of your child not receiving them. Keep a copy of these letters for your records. -The best way to get a timely response for your appeal is to politely state in your letter that you will expect a response within a set period of time (ie;30 or 60 days), or you will contact your state insurance commission. -Keep a phone log of every phone call to and from your insurance company. Note the date, time, who you spoke to and a summary of the conversation. -Provide the insurance company with as much information as possible that supports your claim. Photographs, medical records, medical articles, and names of insurance companies that do pay for the same services or supplies.